The Vauxhall Corsa is one of the most popular cars in the UK, but it always plays second fiddle to the sales chart topping Ford Fiesta – the best selling variant of which is the 1.0-litre Ecoboost petrol. 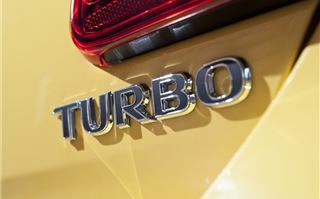 No surprise, then, that Vauxhall has decided to jump on the tiny turbo bandwagon. 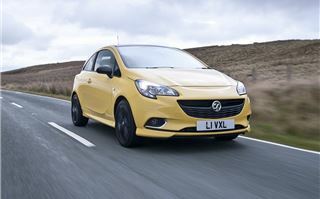 Vauxhall’s new engine is a 998cc three-cylinder petrol. Peak power is either 90PS or – in the case of the model tested here – 115PS. Maximum torque for the 115PS engine is 166Nm, impressively delivered all the way from 1800rpm to 4500rpm, meaning there is always plenty of grunt on tap almost regardless of gear, making for a very relaxed drive. When idling it’s almost impossible to tell the car is running at all – and it barely gets any louder until you get the engine up to higher revs. 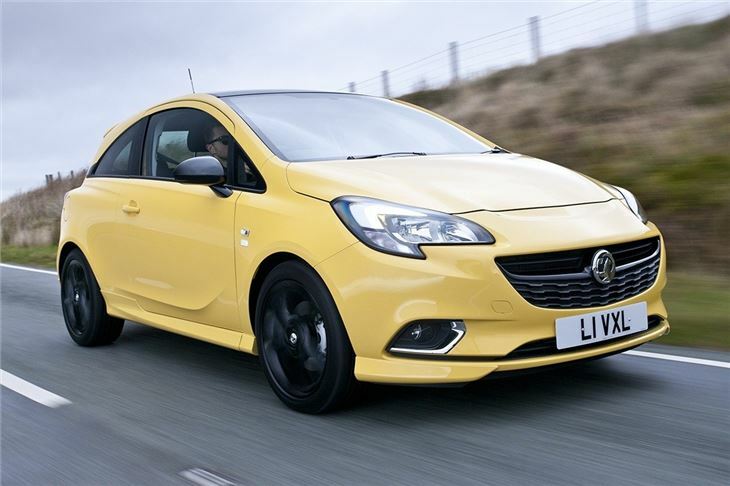 You don’t need to push the engine though – you can short shift thanks to the torque output, meaning the Corsa 1.0 Turbo is one of the quietest, perkiest little cars on sale. That is, of course, until you find a pothole. Sadly the large wheels on the SRi VX Line model tested here thud over lumps and bumps – though ride comfort is generally good unless the road surface is particularly poor. So is the handling. 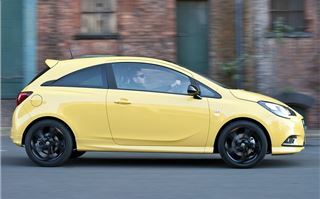 There is plenty of front-end grip and little body roll, though it isn't that much fun, largely because the steering lacks the feel and precision you get from a Ford Fiesta or a Mazda2. Running costs are low thanks to emissions of 115g/km and official economy of 57.6mpg. The Ford EcoBoost is more economical on paper and free to tax, but in reality both engines should cost around the same at the pumps. 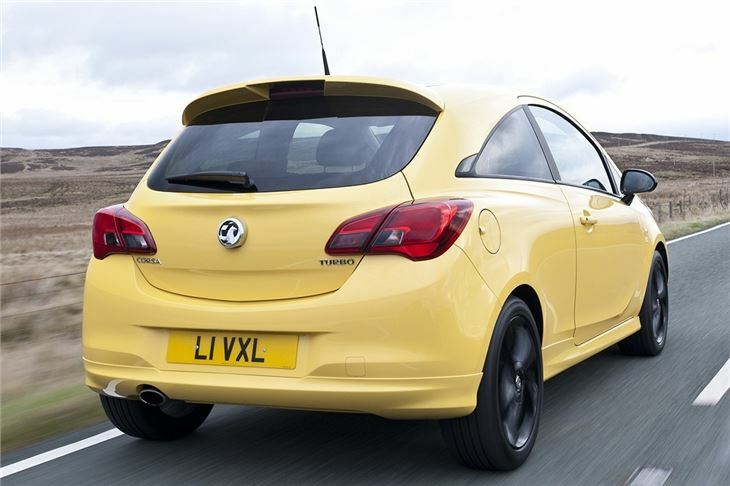 Annual tax for the Corsa isn't free though - but at only £30 it's still in one of the lowest VED bands. 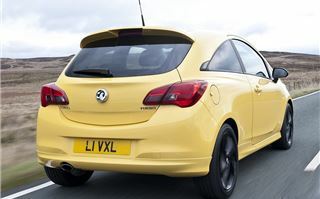 The new engine isn’t offered with all trim levels – we tested an SRi VX Line, which gets a sporty body kit, lower suspension and larger alloy wheels than lesser models. Picking a trim level for a Corsa is frankly a bit ridiculous – there are 10 to choose from, so make sure you check what comes as standard and what engines are available using a configurator. 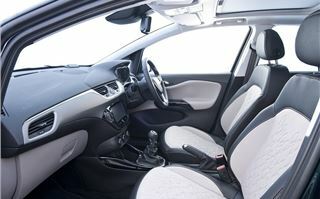 What you will get, regardless of trim, is a cabin that is much improved over the old car. 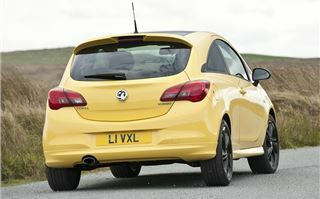 The latest Corsa isn’t all-new, rather a heavy revision of the previous model, but it is markedly better from behind the wheel thanks to a neat, uncluttered layout and good quality materials. 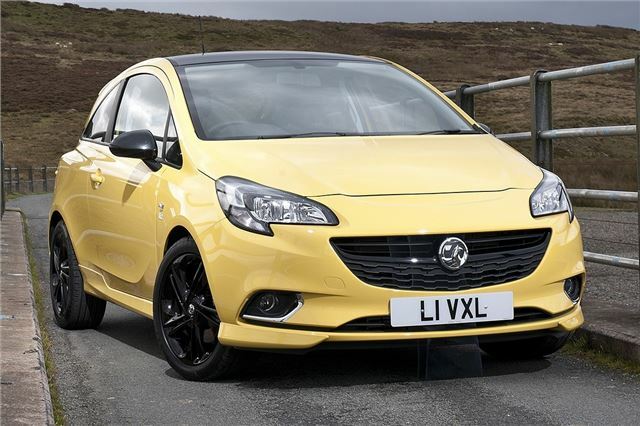 It's solid, sensibly laid out and classy, a fact sweetened by price reductions over the old model. 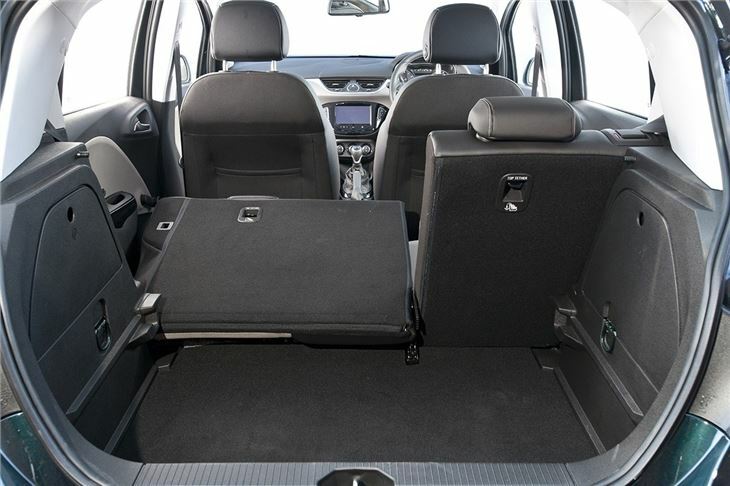 Practicality is on par with similar cars – rear leg room isn’t bad at all, but head room is a little tight in the three door, which is also trickier to get in and out of for obvious reasons – but it’s not too bad as three-door cars go. 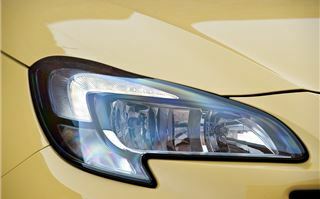 Families will be better off with a five-door car, though, which offers easier access for child seats. The boot is practical enough for a week’s shopping, with a volume of 276 litres. It’s well shaped but it has a high load lip and the rear bench doesn’t fold completely flat, making bulky items a pain to load. 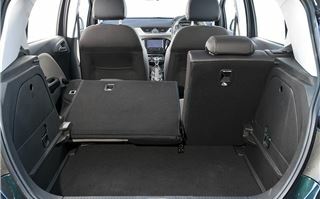 Some cars also miss out on a split/fold seat, instead getting a one-piece bench, which makes it impossible to carry rear-seat passengers and bulky loads at the same time. 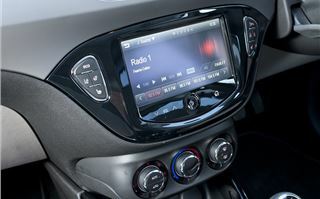 Our car had a large, clear, simple-to-use touchscreen which pairs up to a smartphone via Bluetooth. 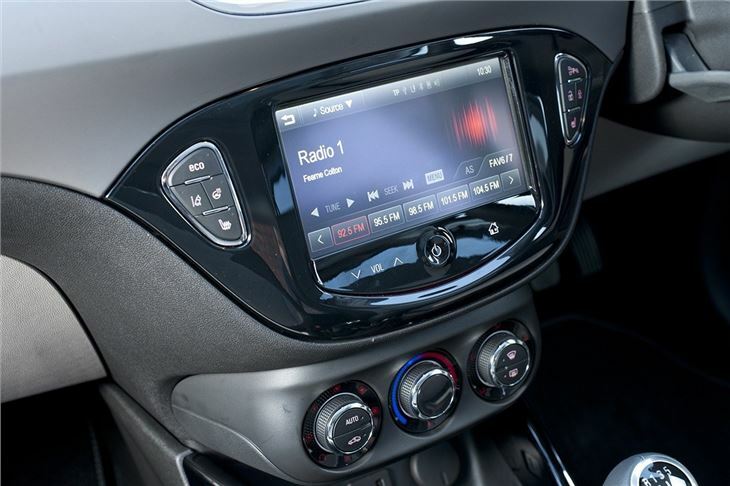 This means audio streaming and in-car calls, but also a selection of useful apps that work via the touchscreen, including a navigation system. 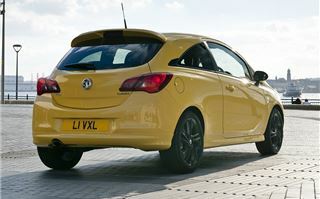 It works well enough, but it isn't quite as slick or responsive as some, like the system in the Volkswagen Polo. 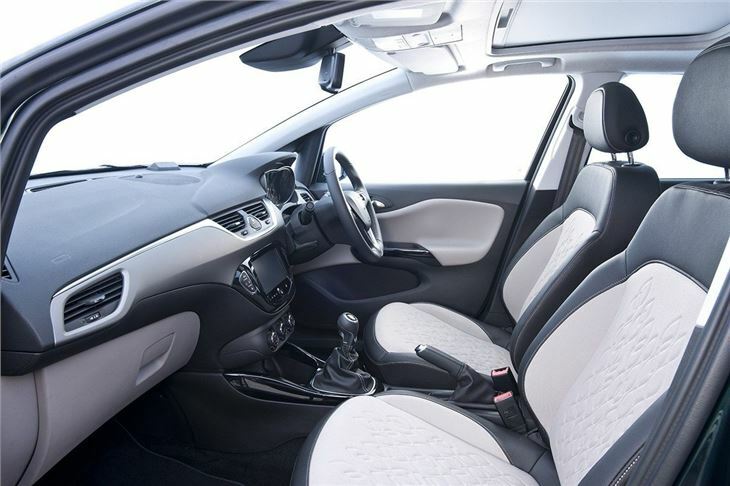 There’s a lot of nice equipment on offer depending on trim level, with big car features like a heated windscreen, heated seats, a heated steering wheel, automatic wipers and cruise control. 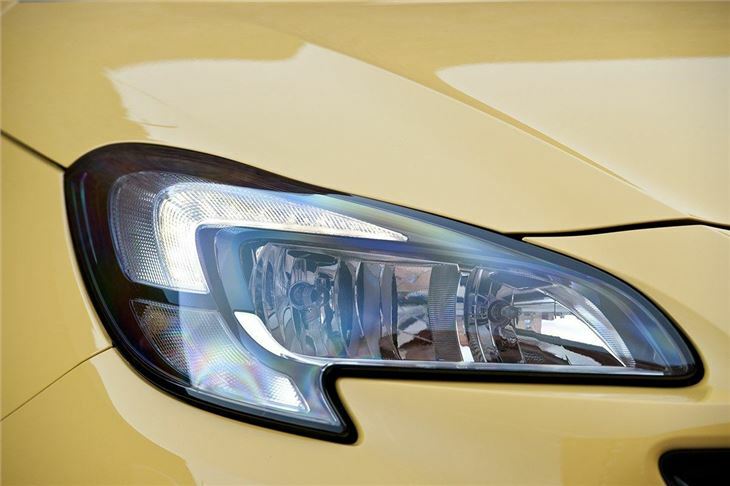 There are some safety technologies on offer, like blind spot monitoring, but automatic braking isn’t available at all, which brings down the Euro NCAP safety rating to four stars. 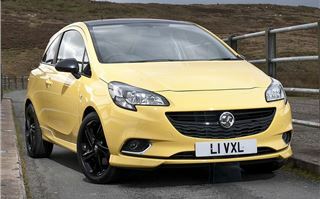 All in all the latest Corsa isn’t a bad car. 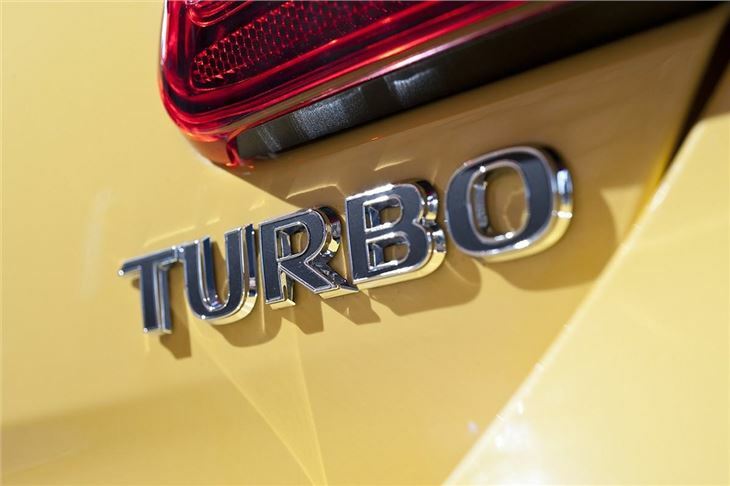 It is a significant step up from the outgoing model, but it still lacks the dynamic sparkle of the best selling Fiesta and it's pretty hard to figure out the sprawling range of trim and engine combinations. 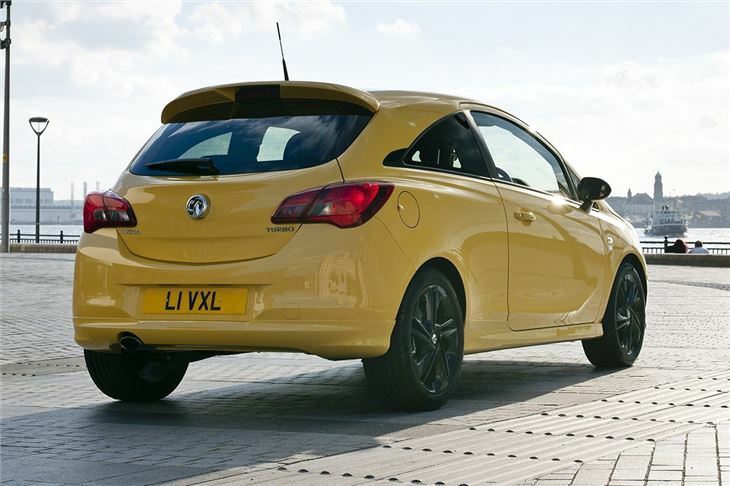 But if your heart is set on a Corsa you won’t be disappointed – especially if you choose the 1.0-litre Turbo, which is the best engine Vauxhall offers for its small hatchback.